There’s nothing like watching some friendly banter between two passionate baseball fans on television. That’s the case with Adam Schein and Chris Carlin, who debate back and forth on Loudmouths on SNY, usually sharing opposite view points on a variety of topics in sports. Today, we are lucky enough to welcome both Schein and Carlin to the Daily Stache for today’s edition of #9innings to talk Mets. Schein: think the Mets are a good, solid team. I think they should win about 84 games and compete for the second wild card. Matt Harvey is a game changer. He changes everything for this team. I am a big believer in Zach Wheeler. I think a healthy David Wright bounces back in a major way. Curtis Granderson, too, with Kevin Long in fold. I’ve always liked Daniel Murphy’s stick. Sometimes I think I value him more than the Mets brass! There are questions and flaws (legit SS, Parnell health, Cuddeyer health and adjustment to NY, Collins as a manager, Niese productivity) included in the 2015 mix. Carlin: I do think they’re ready to be in the race. Obviously, their success is going to be predicated on the starting rotation, and the ability to stay healthy. I do worry a little bit about the offense, and the bullpen. 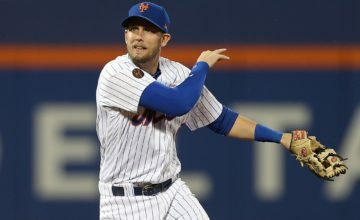 Schein: The Mets don’t have a big league shortstop. It is a huge problem. And I have doubts about Collins, his in-game strategy, his lineups (would be nice to see Juan Lagares playing every day). As I said on Loud Mouths, I would’ve loved to see the Mets get Joe Maddon like the Cubs smartly did. Carlin: I have felt like they have been missing a bat in the lineup that puts the fear of God into pitchers. To me, when you see the kind of numbers Nelson Cruz put up, and you realize that this is not a player who is going to be affected by the ballpark, he would have been a perfect fit for the Mets. I understand he may not fit the organizational philosophy, but that’s ok. If a bat becomes available that’s a true threat, it’s something that has to be added. Schein: Washington is loaded. I think the Nats win the division by 10 games. Carlin: I wouldn’t call it a pipedream. You have no idea what will happen regarding injuries and guys having a down year. It looks like a tall order, but a pitch hasn’t been thrown yet. Schein: I think Wright was hurt all year and he is so dedicated and such a warrior. I think Cuddeyer will help him in clubhouse and lineup. I could see Wright giving the Mets .290-25-95 to 100 and being in the mix for MVP. He’s still a really good player. Carlin: It’s pretty clear to me David wasn’t right all last year, so to speak. I think health was a big reason for his numbers, and I expect him to be back at 290-25-90. Schein: I think it is Granderson and LaGares. The Mets don’t really employ a true leadoff hitter. I’d like Lagares given a look to see if he can be serviceable. You know he’s amazing in centerfield. Mets need pop. They signed Granderson to slug 30 homers. The ballpark dimensions shouldn’t matter. Needs to happen. Carlin: Granderson. He can’t hit 230 this year. I don’t expect to 30 HR,but he has to be more consistent, and produce as they expected him to.. 270-20-85 would be fine, if there’s 35 doubles mixed in. Schein: My mom and dad both grew up a stone’s throw from Yankee Stadium. So I grew up going to many Yankees games. But my parents took me to Shea as well. 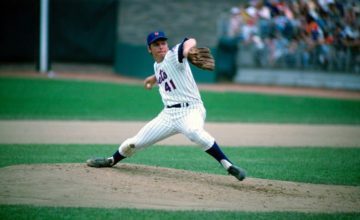 I grew up as a baseball junkie and the Mets in the mid 80s were incredible, intoxicating teams. So I truly never had any hate for anyone! And on air, I take pride in having balanced opinions. Baseball is still the fabric on the NY sports fan. The success of both teams important to the sports soul in the Big Apple. Carlin: I do. I was a huge Mets fan growing up, primarily because my Dad was a Brooklyn Dodgers fan. We didn’t have a spoken hatred for the Yankees, but we treated them as if they didn’t exist. I never liked them, but I certainly try to be more objective about them now. I have to be, and I like to think I can. Schein: Boy it is tough. Very tough. But right now, by a hair, I’d go with the Yankees. Their payroll is higher and can eradicate mistakes. I think both teams will win in the 84 game range. 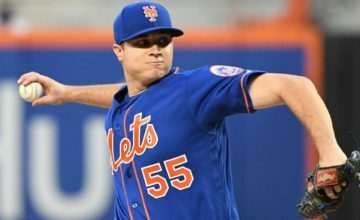 Carlin: I’d take the Mets, because of the young pitching depth. The Yankees have the same feel they did in the mid 80s at the moment. That can change, when they decide they want to start building from within, but it’s not the Yankee way. Win now. There’s something to be said for that. Schein: Shake Shack! Shake Shack! Shake Shack! Carlin: I’m partial to Shake Shack – I’ve always been a burger guy. But Keith’s Grill is very underrated for their burger. Mama’s of Corona is excellent. Schein: A legit contender. I hope Sandy Alderson makes a deal for a shortstop. I think this is going to be a fun ride for the Mets and their passionate fans. But I do think it falls a bit short. Carlin: Much improved, but not quite a playoff team. 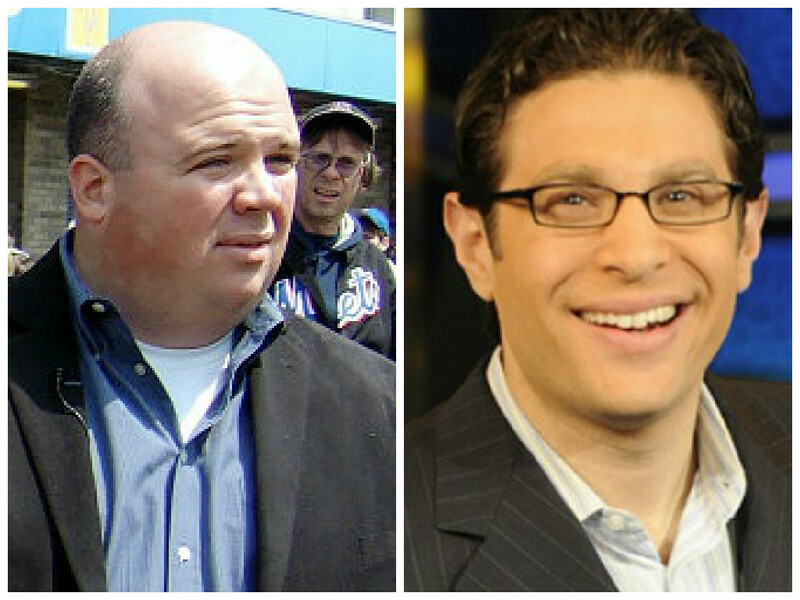 Two Wilpon shills and stooges. Please.